3D-printed houses and buildings could soon be popping up all over Dubai if teenager whizz Chris Kelsey has his way. The 19-year-old, who has relocated his start-up business in 3D printing technology from Silicon Valley to Dubai, has said the company is ready to offer 3D-printed structures. Cazza Construction Technologies uses mobile-printing robots capable of printing a 200-square-metre house in a single day using just two workers, Kelsey, who is the firm’s co-founder and chief executive, claims. One worker monitors the machine and the other adds elements such as steel rebar and electricity cables within pre-determined sections. "If someone wants to build a house, we design and engineer according to 3D standards,” said Kelsey, in an interview with The National. He is also helping the entity to formulate new laws and building codes specifically relating to the use of 3D printing in construction. 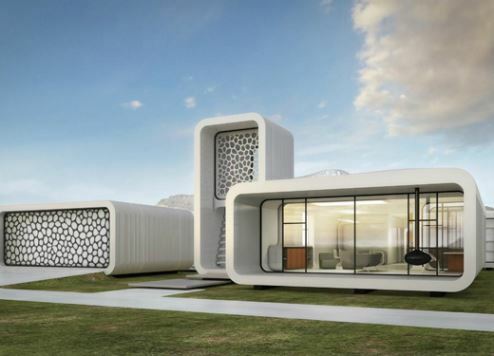 Dubai has already set a target for 25 percent of new buildings to be 3D-printed by 2030. Kelsey said this process will effectively begin in 2019 when buildings will need two percent of 3D-printed elements to gain municipality approval, with this figure stepping up each year until eventually reaching 25 percent by 2030. "There’s a huge disruption that’s about to happen with this technology," he said. A report by BMI Research in December predicted that 3D printing will be transformative for the construction sector. It said that despite high upfront investment costs, "the technology has the potential to cut construction costs … over the next five years" by replacing the need for many skilled labour roles, and reducing the amount of materials wasted using traditional methods.